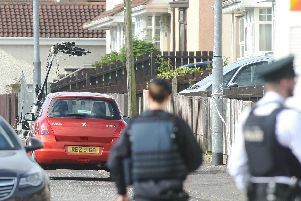 Two men have been charged with the murder of a father of five in Londonderry. Karol Kelly, 35, was stabbed during an altercation in the Grafton Street area of Derry in the early hours of Sunday. The two accused, aged 19 and 20, were charged with murder on Tuesday night. They are due before a district judge in Derry Magistrates’ Court on Wednesday morning.